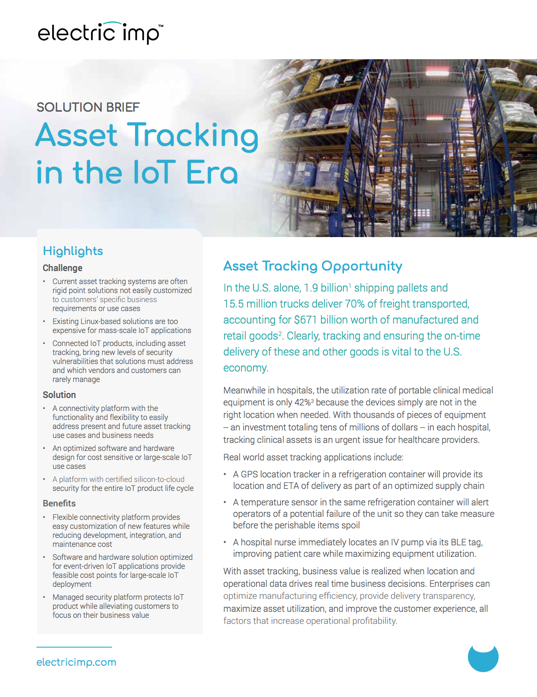 In the era of IoT, asset tracking systems have proven extremely valuable, enabling enterprises to optimize operational efficiencies, provide supply chain transparency, and maximize asset utilization. However, current asset tracking systems are too expensive, vulnerable to cyber attacks, and lack the flexibility for highly customized use cases. And, if compromised, even a trivial connected device can cause significant damage. © 2011-2018 Electric Imp, Inc.